WE’RE IN THE FINAL ROUND! THANK YOU!!! Thank you for your continued support! Reagin Orthodontics is proud to announce that we are defending our 2016 title as the Orthodontist selected by the Post & Courier’s Charleston Choice Awards! It’s because of your support we made it to the final round! 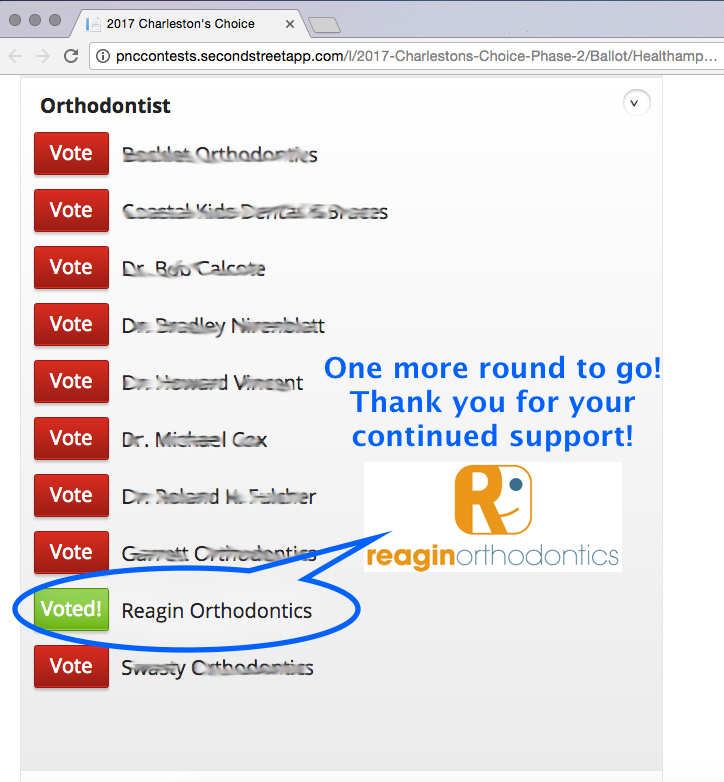 Please help us defend our title and vote for Reagin Orthodontics today by clicking here (or on the image below)! !